India is one of the very few countries to be blessed with diverse cultures and traditions. We live in an incredible country where you will find a new language every 100kms and every 500kms, a completely new culture and tradition. Wih over hundreds of art forms, languages, cultures, traditions, rituals, beliefs, practices, ethnicity prevailing harmoniously with each other, where else can you look, feel and breathe unity in diversity? When it comes to art forms especially, India is blessed beyond extraordinary. We are humbled yet honoured at the same time to realize the fact that we share the same space and walk the same land that was touched by some of the legends like Mr. Uday Shankar, Pandit Birju Maharaj, Smt. Mrinalini Sarabhai and many more artists from the contemporary age. 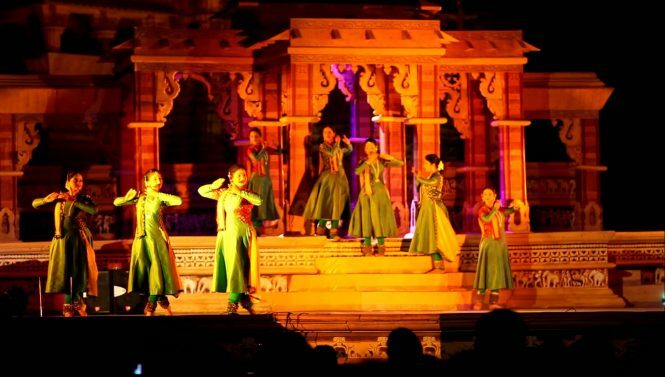 If you are into the Indian classical dance forms and take pride in the diversity in these art forms, let us remind you that the Khajuraho Dance Festival is scheduled for the month of February and like every other year, it will have dance performances by some of the most prominent and promising artists. Our Khajuraho tour packages will allow you to indulge in the amazingly delightful cultural experience right in the centre of the country. In the premises of the holy temple of Khajuraho, which is marked by intricate stone sculptures, the annual dance festival is a yearly ritual that brings together artists and legends from different classes of dance like Bharatanatyam, Kathakali, Kathak, Kuchipudi and more. The environment is set and a sense of spirituality and divinity fills the air as different ragas touch you and the artists beautifully express and narrate emotions, incidents, and episodes from epics and stories through different taals or beats. The occasion is further made special by the weather as winter makes way for spring and the temple comes alive just like the weather through the colours and vibrancy of various dance forms. Be it a performance as grand as a 20-member troupe or as simple yet elegant as that of two people, the sights and sounds are purely divine, taking you on a spiritual level and connecting you with your higher self. 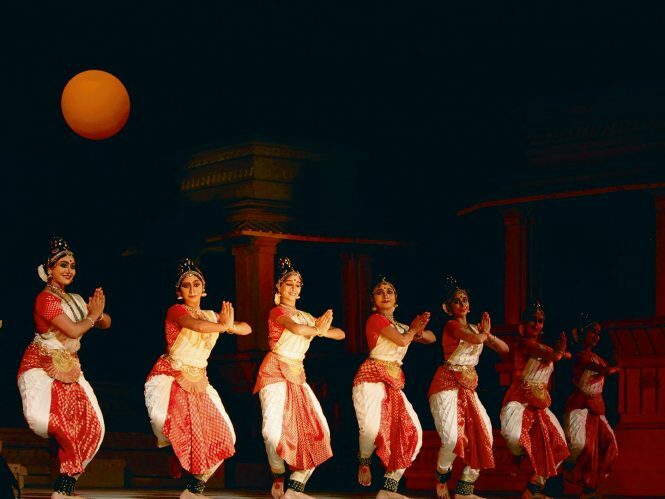 This year, the Khajuraho Dance Festival starts on the 20th of February and happens until the 26th of February, offering you a weeklong series of performances and programs. The schedule for this year is out and is graced by the performances of Aarushi Nishank from Uttarakhand, Padmini Durairajan from Chennai, Mohini Mohe from Jabalpur, Neelam Choudhary from Patna, Anuradha Vikrant from Bengaluru, Sneha Chakradhar from New Delhi, Khushbu Panchal from Ujjain and many more. Imagine being in the presence of such talented artists, taking every efforts to take art to the next generations and in the premises of a temple built around 1050AD. This has to be one of the most magical moments you can ever witness in your life. On the other side of the events that give you joy and temporary happiness lie events and performances like these that give you a sense of purpose and fulfilment. Come be part of the Khajuraho Dance Festival, come be part of the unison! 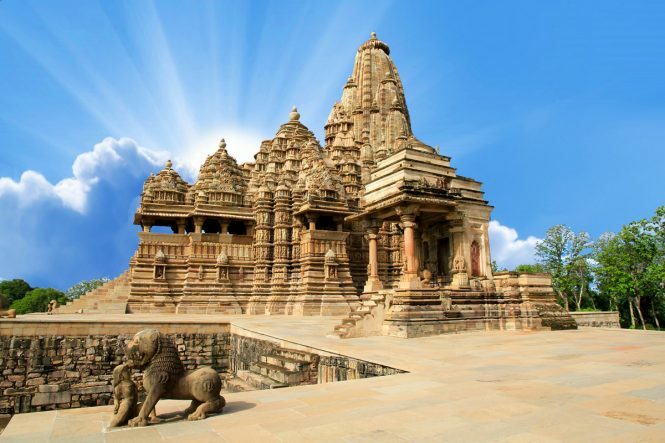 Khajuraho is conveniently connected with the major Indian cities through air, road and train. It has its own airport that has flights coming in from cities like New Delhi, Kolkata, Mumbai, Chennai, Bengaluru, Mysuru and more. 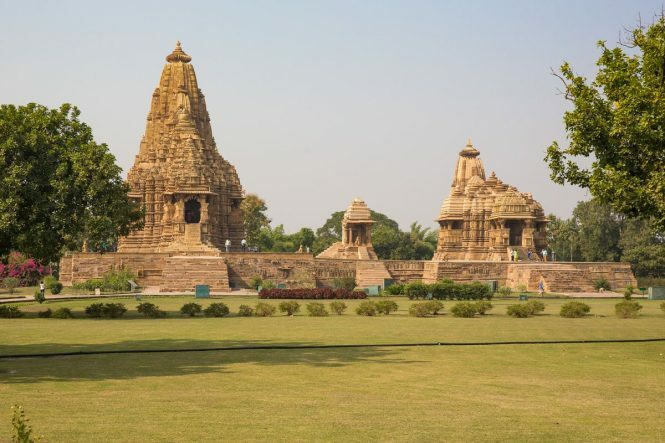 If you plan to take the train, there are several trains passing via Khajuraho or stopping at Mahoba junction, which is the second nearest railway station well connected with other Indian cities. You can also reach any city in Madhya Pradesh and take a private or government bus and easily reach Khajuraho. Depending on your mode of transportation, your pricing and timing will vary. Opt for the best Khajuraho tour packages to be a part of Khajuraho Dance Festival.